A new "wonder drug" that Vicky Phelan believes saved her life could be freely available to everyone with cervical cancer very soon. Labour health spokesperson Alan Kelly made the claim when he spoke to the media yesterday afternoon outside Leinster House. 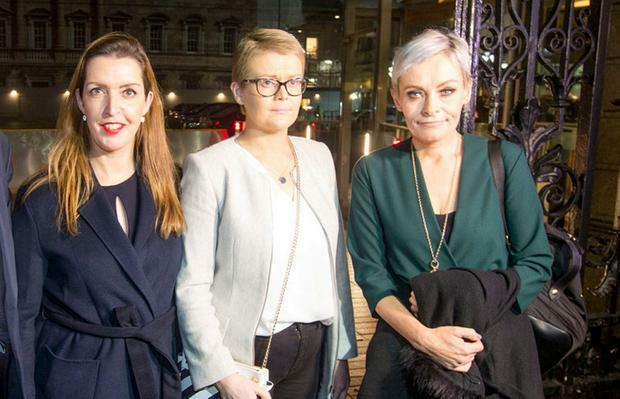 Joined by cervical cancer patients Ms Phelan, Áine Morgan and Tracey Brennan, Mr Kelly said a deal to make Pembrolizumab - also known as 'Pembro' - freely available could be done immediately. "We're here to say that we need equity of access to Pembro, which has had such a dramatic impact on Vicky's health and life," he said. "The women affected by cervical cancer need the Government to step up and ensure they have access to this drug. "I believe this could be done immediately and be sorted by the weekend ... But we really need to keep the pressure on to ensure it happens." Mr Kelly added he has the support of Health Minister Simon Harris. "The best Christmas present that these ladies can get is that Pembro is going to be available for them from here on in," he said. A spokesperson for Mr Harris said he met with HSE and the Department of Health on Friday to discuss the expansion of Pembro. "The Minister expects to hear progress very shortly and will provide updates accordingly," they said. Meanwhile, Ms Phelan will release a memoir on her life story next year. Hachette Books Ireland said yesterday the book would tell her full story for the first time. She survived a life-threatening accident in early adulthood and suffered later battles with depression and tragedy. The memoir will also reveal her battle against cervical cancer and will be published in autumn 2019.